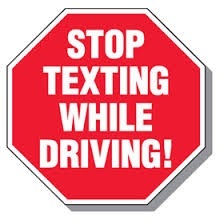 No matter what mash-up of words you see use, intexticated… drexting… the problem of teenagers and distracted driving as a result of texting is potentially disastrous. It is also illegal. Michigan law, Since July 1, 2010, has prohibited texting while driving. The number of teens who are dying or being injured as a result of texting while driving has skyrocketed as mobile device technology has advanced. Researchers at Cohen Children’s Medical Center in New Hyde Park estimate more than 3,000 annual teen deaths nationwide from texting and 300,000 injuries. Do you know a teenage driver? Do you want to do everything humanly possible to keep him or her from the scary and dangerous act of texting and driving? Show them this: http://quoted.thezebra.com/76/teens-texting-and-driving Additionally, here are five apps from the www.mashable.com website that can deter or prevent texting and driving. By limiting the extra features on your phone, DriveMode automatically sends pre-set replies to incoming texts to let people know you are driving. Once the app is selected, all calls, texts and emails are silenced, and the app blocks you from reading or typing anything. It does offer leniency, however, giving you the option to receive and make calls with up to five people, plus 911, and allows you to access your music playlist. Instead of completely blocking your incoming messages, DriveSafe.ly actually reads your text messages, calls or emails aloud. By reading to you, the app eliminates that urge to grab your phone and take your eyes off the road for a split second. Best of all, it automatically responds to recipients for you (with a pre-set response) or allows you to respond by voice, totally hands-free. For those who really don’t want to mess around, Textecution uses GPS to determine the speed at which your car is moving. If you are traveling more than 10 mph, the application will disable texting, so you cannot receive or respond to texts. You will be able to unlock messages when going less than 10 mph. Lets say you were a passenger, though, or on a train; the app allows you to ask for permission from the administrator, who will be able to override the settings. It’s about time we were rewarded for safe driving. DriveScribe’s app measures and evaluates your driving performance by giving you points, based on how well you stay within the speed limit and obey traffic signals. Users can redeem points for gift cards and discounts at certain stores. If you are interested in your driving patterns as well, the app tracks distance driven, average speed, maps of routes driven and descriptions of your violations (if any). Do you have any unique ways to discourage yourself or others from texting and driving? Please share your ideas with us.